It didn’t quite fit well enough so I had to return it. 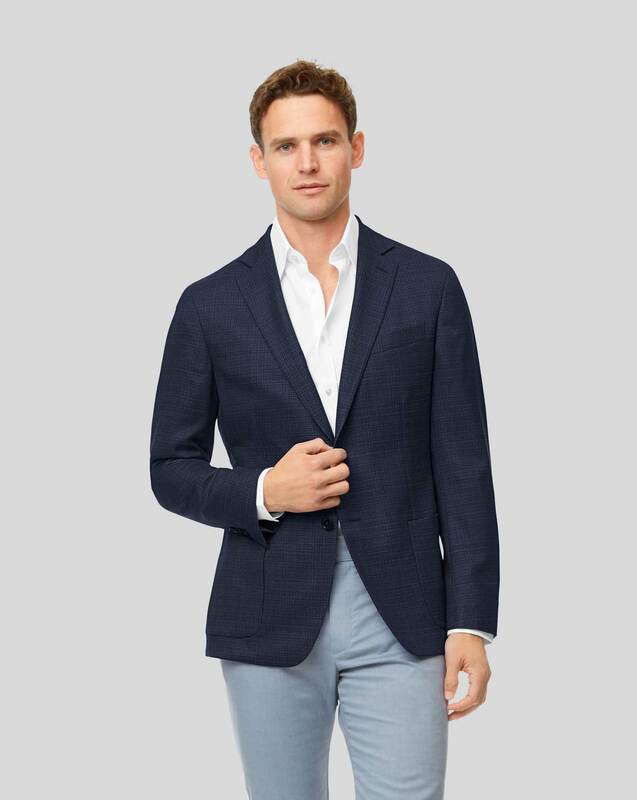 Response from Charles Tyrwhitt: I am sorry to hear that your blazer was not quite the perfect fit for you, and I can see from your account that your refund has been processed and should be back within your account. We do offer helpful sizing and measurement guides online to assist with your shopping, and I hope that your next purchase is perfect for you. The coat looks great and appears to resist creasing, having come through the shipping in perfect condition. I wanted something to pack into a suitcase for travelling, so it needs to be light and wrinkle resistant. Unfortunately it was too small, so had to be returned. Response from Charles Tyrwhitt: Thank you for sharing your feedback. It is a shame to learn that the blazer was not the best fit for you as you are in-between sizes. Kindly allow up to 15 working days for your returned parcel to reach our Warehouse here in the UK and we will, of course, email you when it has been received back safely. We certainly hope the exchanged size will be a more suited fit for you.